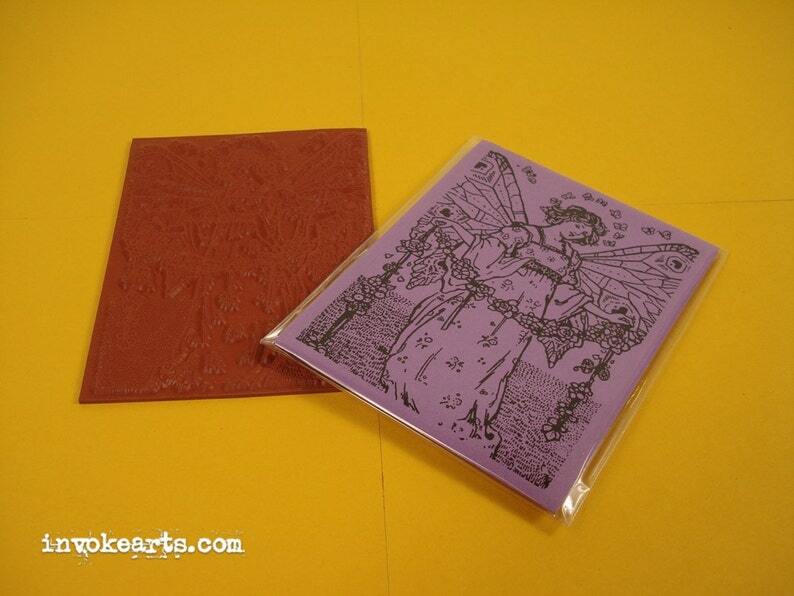 Measures 2 5/8" x 3 5/8"
When stamped this Flower Fairy stamp is great for ATCs plus a nice addition to your Tag Art and Journals, Mixed Media and Collage pieces. Extremely unpleasant experience with seller. The stamps are lovely but I feel very uncomfortable about the idea of dealing with this shop again.